When we think of architectural wonders, we do not typically think of the water supply. 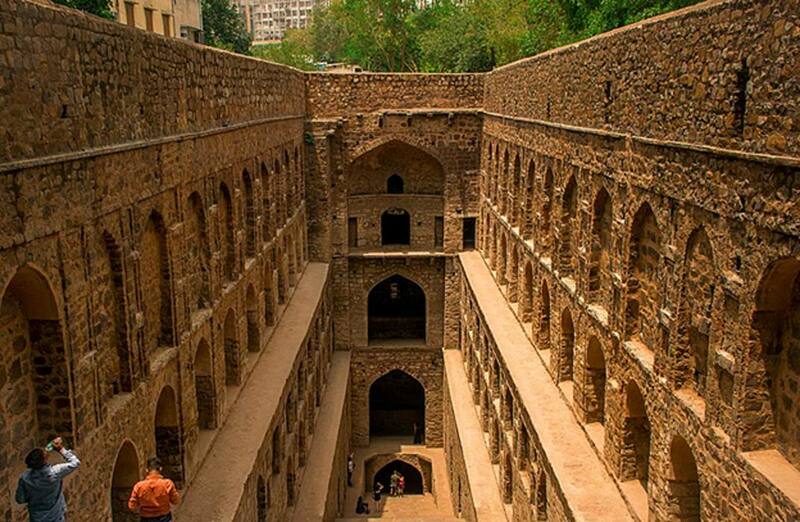 However, in the heart of modern New Delhi, near one of its most popular tourist sites, is a remarkable subterranean architectural wonder that played a crucial role in the metropolis’ water supply for centuries. This is the famed Agrasen ki baoli and it was built to capture precious water in the dry climate of the North Indian plain. Today this marvel is popular with foreign and local visitors and it is a protected monument. The structure is well-know because it has been featured in many Bollywood movies and advertisements. The subterranean building is a stepwell, in which a reservoir of water is reached by a set of steps. These were once very common in India. Stepwells or ‘baoli ’, as they are known, allowed local communities to access subterranean water supplies. They were intended to make sure that any subterranean water available was utilized in as efficient manner as possible. People would descend down the steps of the baoli to reach subterranean wells and obtain much needed water. The steps were built next to the shafts of wells so that whatever the level of the ground water, residents could always access some. This could be arduous, but many people had no other choice. Once you entered the ornate gateway, you are greeted by a steep flight of stairs. The Agrasen ki baoli has three stories and in the walls are three levels with arched corridors, which are adorned with niches. Once these corridors gave access to well shafts, but these are long dried-up. It is possible to walk these corridors’, and some have intricate carvings. There are 108 stone paved steps in the baoli, and they lead down to an empty water reservoir. Looking down the flight of stairs can make one dizzy. Remarkably, this structure was completely made by hand. Since the introduction of water plumbing the baoli are no longer in use in New Delhi and today Agrasen ki baoli is a tourist attraction. It is in good condition because of government funding. The district around the site, which was once run-down is now adorned with many colorful murals. It seems likely that there was a stepwell here many centuries ago, we know for example, that the Bronze Age Indus Valley Civilization built these water-harvesting structures. Despite the importance and the history of the baoli, there is little documentary evidence as to its origin. Agrasen ki baoli is named after a mythical king who lived thousands of years ago and who created a kingdom based on trade and industry. This legendary king is associated with the Argawal group who were very prominent in trade. It seems likely that local Argawals were instrumental in the construction or the rebuilding of the baoli. Wealthy merchants would build public works such as the stepwells to gain favor with the Sultan or Emperor. 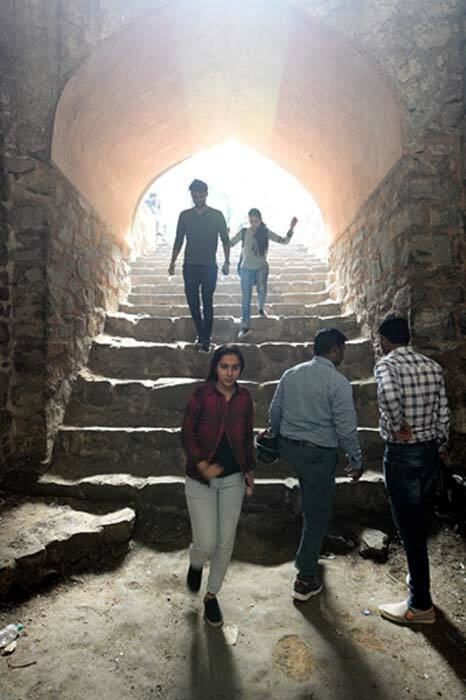 Based on the architecture of the arched corridors, in particular, it seems that the structure was built during the Middle Ages, probably in the 14 th century during the Tughlaq Dynasty. 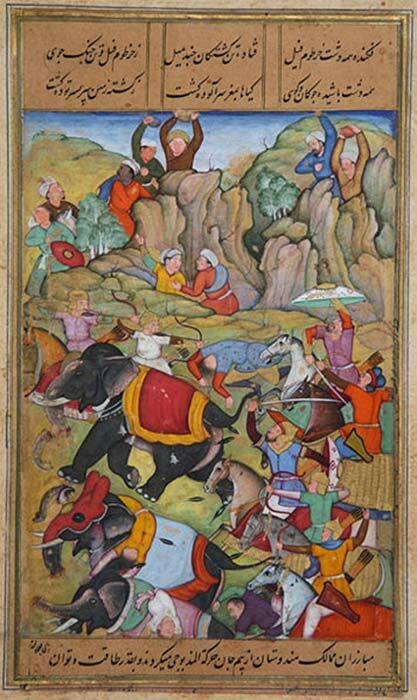 This was a Muslim dynasty of Turkish descent who ruled the Sultanate of Delhi from 1320 to 1410 and were notorious for their cruelty. There are many tales of ghosts and the supernatural in New Delhi. The subterranean structure with its darkness, echoes, and shadows has long frightened the superstitious. Then there is the fact that bats can be heard screeching on many nights. In the past many believed that the dark waters that filled the baoli were enchanted. Spirits in the waters would seek to tempt people into the reservoir where they would drown. The subterranean marvel is located near the busy district of Connaught Place, in the heart of New Delhi, India. 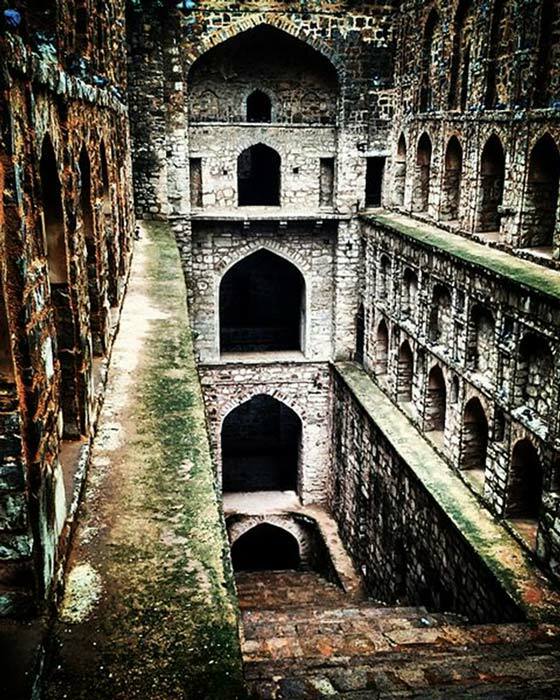 There is plenty of accommodation near Agrasen ki baoli. Admission to the site is between 9 am and 5 pm and there is an entrance fee. It is not advised to visit the structure at night as it could be dangerous. Top image: Agrasen ki baoli . Source: Mourya06 / CC BY-SA 4.0 . It's interesting that little to no documentation can be found on the baoli's construction. I wonder what is typically done in discovering documenttion for other specific ancient structures?